Damascene Gallery is pleased to offer several full iconostasis sets with many more currently in the process of being added to our collection. We accommodate two approaches to the completion of iconostasis projects: retrofitting an existing iconostasis or constructing one from scratch. Determine the scope of the project: How many icons will be needed? Choose the icons from the Damascene Gallery collection. To fit the existing locations, custom layout work will likely need to be done. If so, this will be decided in this step. Receive a customized quotation from Damascene Gallery. Proceed with the retrofitting of your iconostasis. Retrofitting your iconostasis with custom fitted icons will transform your existing iconostasis from being simply a wall with icons hanging on it into being an authentic iconostasis that has a presence that worshipers will conclude was designed into the icon screen when it was built. Contact us today to begin work on retrofitting your iconostasis. 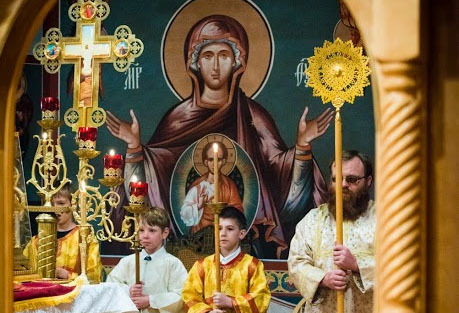 With this approach, a new iconostasis will be built from scratch. In some ways, this is the preferred approach since many iconostases (particularly in America) are built “backwards”… instead of building a screen which exists to house icons, many iconostases are built simply as walls with the actual layout and design of the icons only being considered as an afterthought. Constructing an iconostasis from scratch allows the creation of an icon screen where the icons dominate, not the wall. 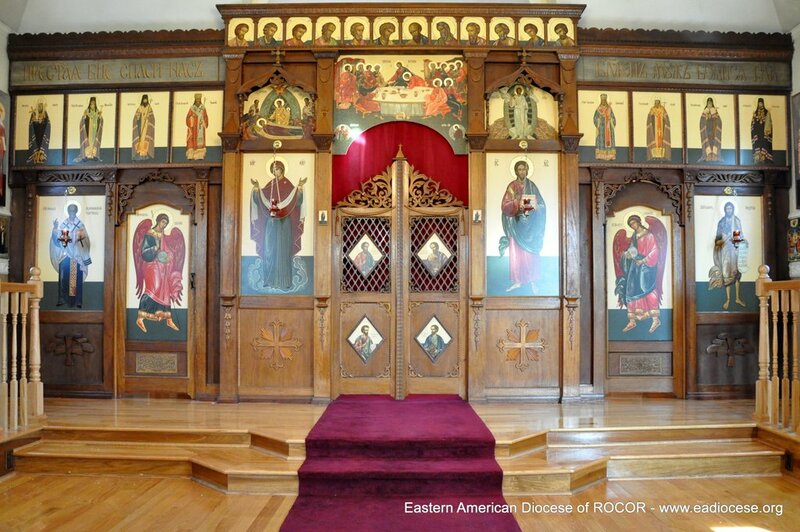 Determine the vision the parish has for the iconostasis and review designs from our design catalogue. 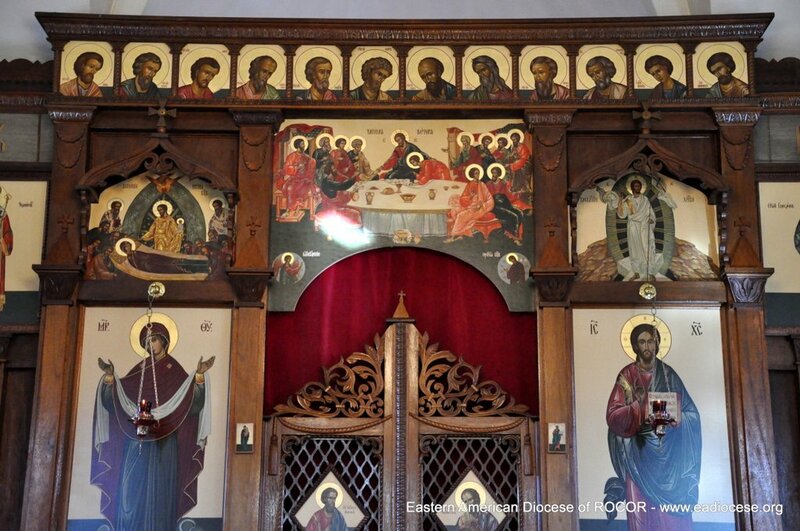 Review iconostasis sets that will fit with various designs. 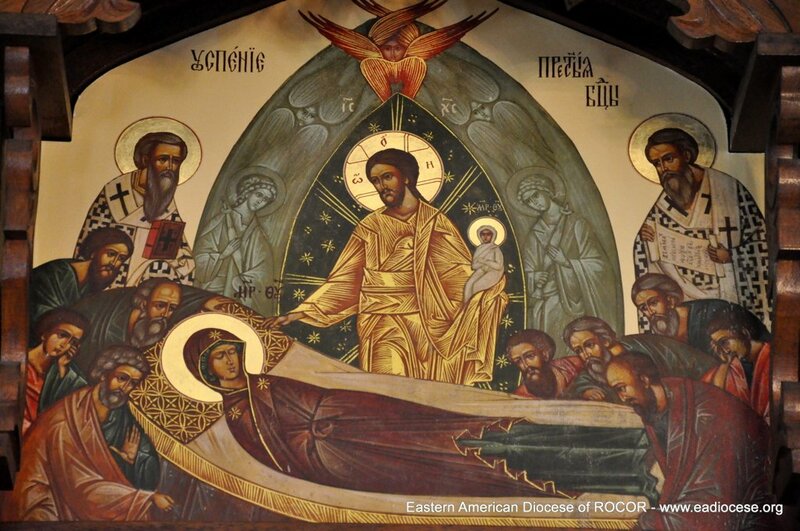 Finalize the selection of iconostasis design and iconostasis icons. Receive a customized quotation from Damascene Gallery including construction costs for on-site construction. Proceed with constructing the iconostasis and installing the icons. Even though Damascene Gallery icons are of exceptional quality, all of our iconostasis designs allow for the installation of icons through the back of the iconostasis, rather than being simply hung on the front so, should churches eventually want to install hand-painted icons in place of the Damascene Gallery icons, installation will be a cinch. A custom built iconostasis fitted with matching icons from Damascene Gallery will help to foster the prayerful atmosphere every parish should have in order to assist the faithful in laying aside the cares of this earthly life. For examples of our work, please visit our Portfolio page.